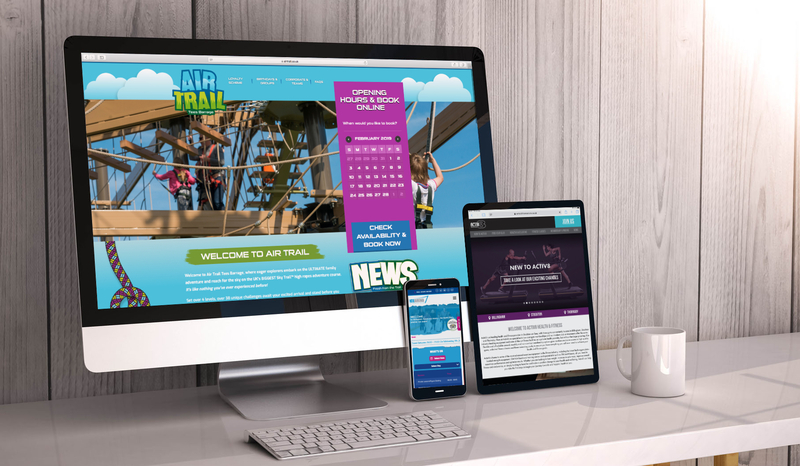 A selection of highly engaging websites for the local fitness and leisure service provider’s various venues and activity centres, including Activ8, Tees Barrage, GoClimb, AirTrail and Billingham Forum Ice Arena. 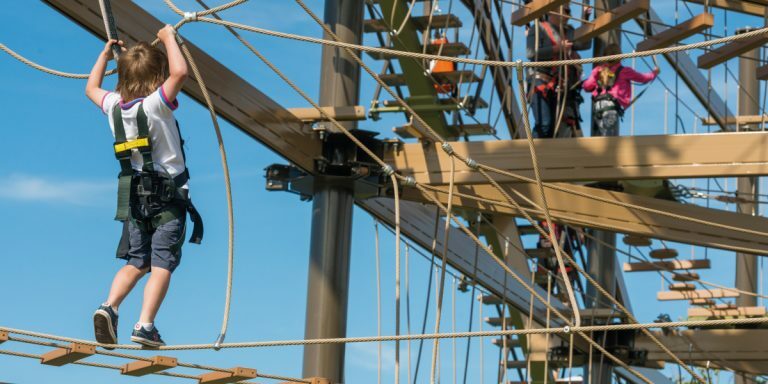 Tees Active is a local provider of high-quality fitness and leisure services for the whole community, including watersports, high ropes, ice skating, health and fitness, swimming and indoor climbing. 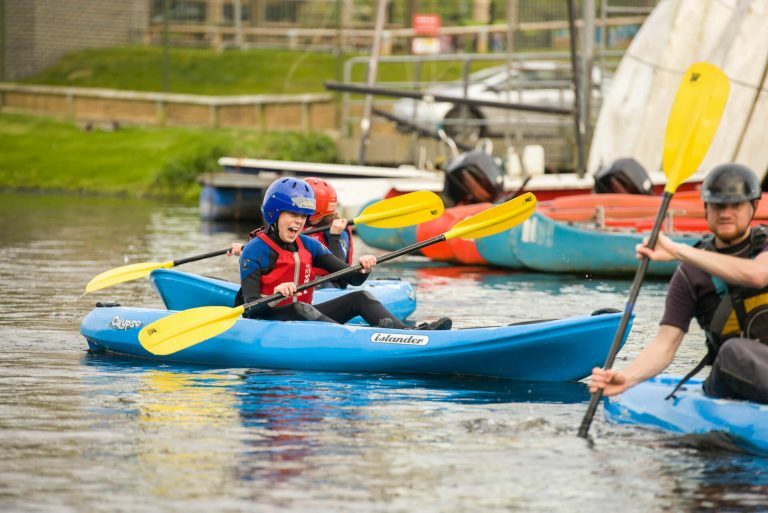 Tees Active’s venues include Billingham Forum, Tees Barrage, Activ8 Health & Fitness, GoClimb, AirTrail, Stockton Splash, Thornaby Pavillion, Thornaby Pool and North Shore Watersports, to name but a few! 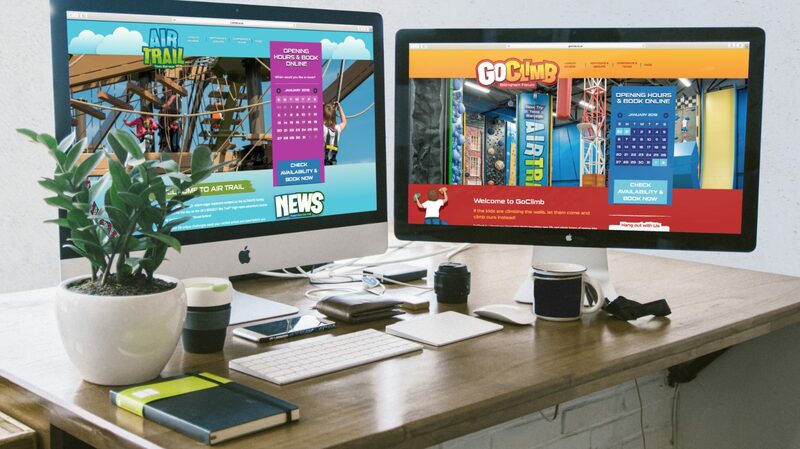 Tees Active have required a number of projects over the years, asking Hush to deliver a number of booking websites for various Tees Active venues, including Billingham Forum Ice Arena, Go Climb, Air Trail, Tees Barrage and Activ8. Each website needed to be branded accordingly and specifically designed to focus on each venue’s activities and key target audiences. It was vital that each website presented the wide variety of information cleanly and succinctly, allowing each user group to quickly and easily find what they were looking for. Hush were required to design, develop and launch a variety of websites for Tees Active, each with differing target audiences and varying content. 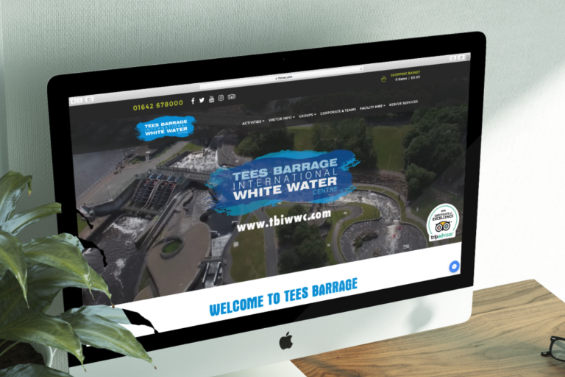 Hush worked closely alongside the marketing and graphic design team at Tees Active to create each website’s core visuals, before we transformed them into fully functional websites. Due to the active nature of each venue, the websites needed to be highly engaging visually, with lots of image and video elements where possible, leading a user to engage with their specific area of interest. Key features and functionality include looping video web loops, sticky menus, parallax scrolling, newsletter pop-ups, live scrolling feeds of accreditations and associations, and a seamlessly integrated booking system that best fits each venue’s set-up and booking needs, ultimately encouraging users to get in touch or make a booking. – Andy Mack, Marketing Manager at Tees Active.